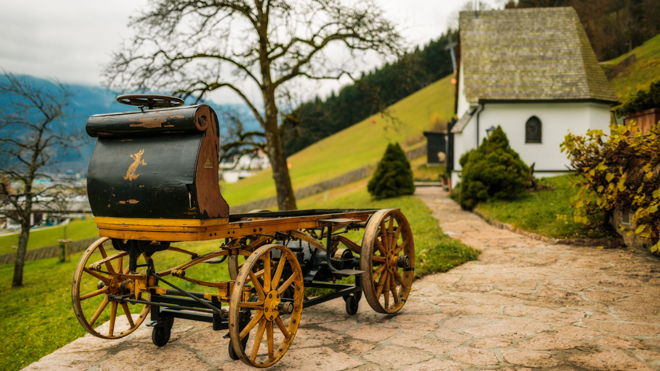 The first car designed by Ferdinand Porsche has found its way into his namesake company’s museum after disappearing for 112 years. Discovered last year in a warehouse at an undisclosed location in Austria, the “P1” had been sitting among a collection of horse-drawn carriages since 1902. It was purchased by one of Porsche’s living relatives, and is now on display at the museum located in Stuttgart-Zuffenhausen, Germany. 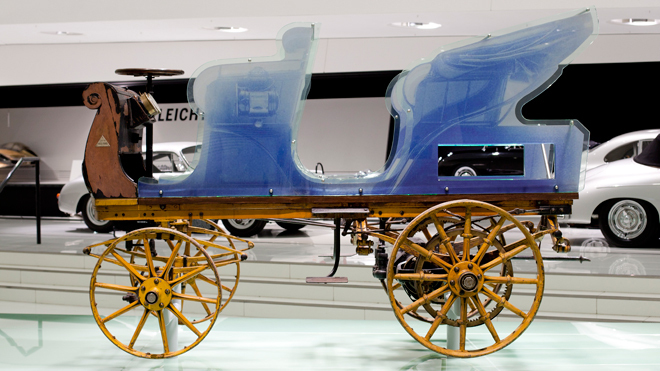 Officially known as the Egger-Lohner electric vehicle – C.2 Phaeton model, the car was designed and built by Porsche in 1898 when he was just 22 years old. 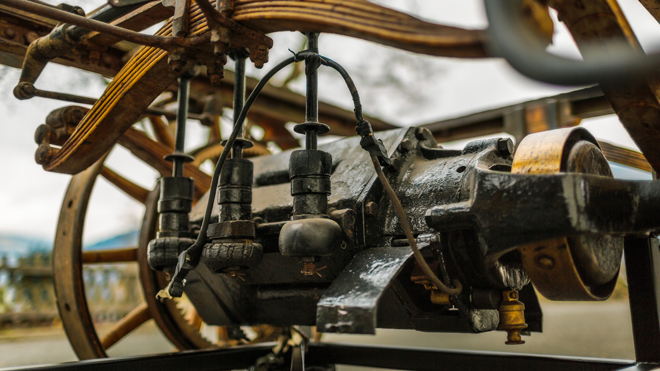 It was the first of several motorized vehicles he developed for the luxury coachbuilder, Lohner, including the world’s first hybrid car. Porsche went on to found his own engineering firm in 1931. As its name implies, the four-seat vehicle is electric and powered by a 3 hp motor mounted at the rear, which could be overloaded to 5 hp and propel it to a top speed of 21 mph. Its 44-cell, 1,103 pound battery pack provided enough energy for trips lasting as long as 3-5 hours, covering approximately 49 miles. Setting the stage for Porsche’s later motorsports tradition, it won its first race in 1899, a 24-mile run across Berlin. A Porsche museum spokesperson says the vehicle was found in surprisingly good condition and cleaned, but not restored. Its motor still functions, but the batteries have gone missing over the years, along with the seats and some of its bodywork. The last of those is somewhat fitting as the car was designed with exchangeable panels that allowed it to be converted from a closed to open car. A transparent replica of the absent parts has been installed on top of the original wooden chassis for display, where Porsche hopes to keep it for another century, at least.